I feel bad for neglecting my blog this year, I knew it wasn’t going to be an ordinary year and that things would have to be sacrificed. One was my fishing time and the other was finding time to keep my blog updated with anything interesting I may encounter when I did get out. 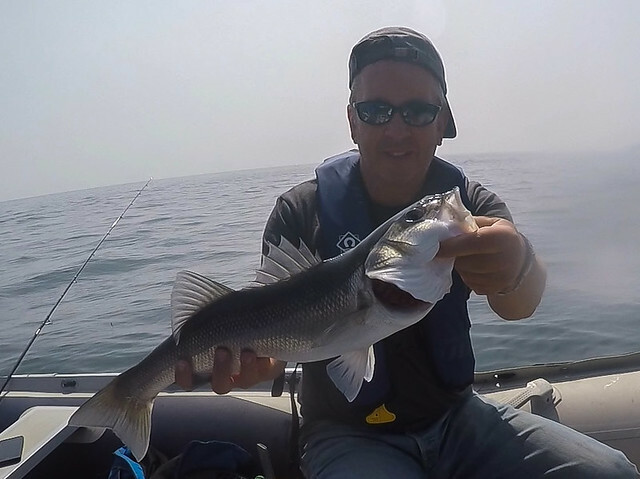 Well I’ve hardly done any shore fishing this year due to work commitments and have zero to write about in that respect unfortunately but I have been getting out on my SIB when I can and it has been very interesting in that respect. So hopefully over winter I’ll be able to find the time to catch up on some of my experiences. Firstly a little report from back in June… We coupled Marks 15hp to my 3.5m Honwave and had a blast. 19mph was the most we got out of her though we were carrying a bit of weight. Two petrol tanks for starters. We seriously covered some ground this day. The fish finder was out too and this certainly gives another dimension to the boat. Especially fish you CAN’T catch… more to that on a later date. The day started slow, no action on the first reef and only a few small Pollock showing on a deeper rock that I was sure had potential for the future. 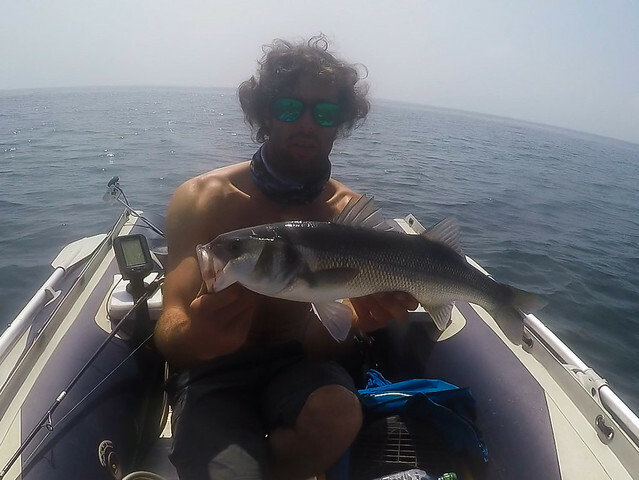 Finally we made it to one of my favourite reefs for a bit of top water fishing. Gulls sat on the water but being rather docile. The odd peck at the water but they rarely took off. As we drifted into the bunch there was clearly movement on the water. Fish… the odd boil, slurp or tiny splash. What was it? It wasn’t normal behavior of anything I’ve really ever seen. Tiny splashes like Mackeral or Pollock, swirls from the tails of bass and slurps like the kind you get from Mullet in the estuary. We chucked our surface lures obviously feeling quite excited at this point but I was bedazzled. We went through the pack. There was fish all around the boat but not one take and without a set of polaroids I couldn’t see a lot. Suddenly Mark shouted bass and pointed down as ten or so nice fish bolted under the boat. 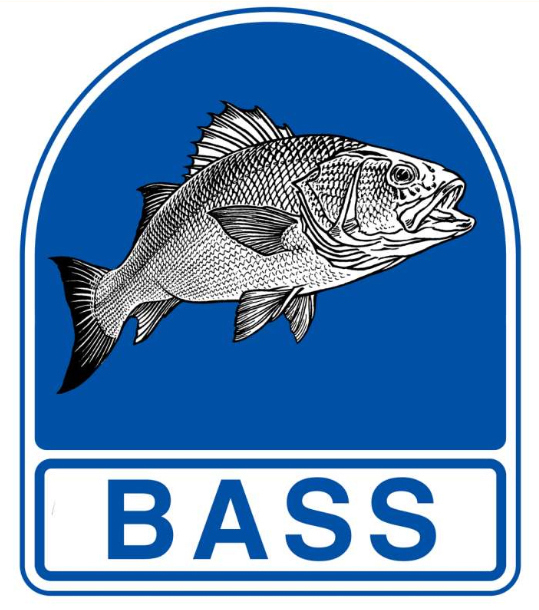 It was clear there was bass involved in this conundrum. I’d opted for the Salt skimmer for it’s nice slim profile hoping any finicky fish would be happy to oblige. Well it didn’t take long and minutes later I was into a nice fish. That moment you think it’s game on… Well it wasn’t. I’m still unsure what the fish were feeding on that day but I reckon it was tiny sandeels around a couple of inches long. Mark had switched to a tiny LRF Savage gear sandeel. Going tiny to see if that would work and it proved to be the technique of the day. He managed to fool 6 fish to his twitched baby savage gear. Couple highlights was casting my Zclaw out and after a single twitch there was movement on the surface and what I could see was 3 fish sat about 6 inches below the lure. One on the left one at the back and one on the right… They where just holding themselves just below it watching it like a hawk. They followed the lure all the way back to the boat for about 40yards. Just stunning and a you can imagine how clear the water was as I didn’t even have my polaroids on. I’m not going to lie this was driving me mental though being so in touch with the fish is exciting enough for me. Small groups of fish cruised under the boat numerous times in the day and the amount of life on the water was great to see them feeding all around us. We had drifted over the deeper part of the reef and as Mark was retrieving his lure to the boat a shoal of about 20 fish came within a few metres of the boat. As he dropped his lure straight down again they would be instantly interested and come straight to it stopping to a halt within a foot of the lure. As you lifted the lure up, up come the fish. As you dropped it down they would follow but they wouldn’t get any closer than a foot and wouldn’t go for the lure. If this lure had a heart I’m sure it would have had a heart attack by now! We played with the fish for a while and for a while they would always follow it to the boat. I did try to get some footage but failed in my attempts. To be fair if we hadn’t actually seen the fish or obviously caught a couple you would have sworn it was all mullet, mackeral and pollock out there. This is why I love fishing from the SIB so much, it puts you so in touch with the fish, it’s so visual and exciting you never really know what you’re going to see. Fly fishing would come into its own in this situation and Mark was wishing he had his with him. This entry was posted in The Fishing and tagged Bass, IMA Skimmer, Savage Gear Slug, SIB. Bookmark the permalink. Good to see you back Keir.